New on the market, for people with low yielding wells or no wells at all. 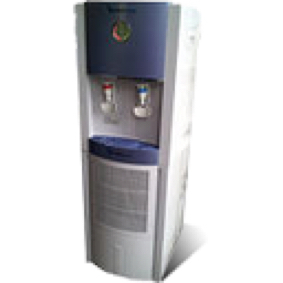 We have finally come out with a system that requires no water supply into the unit. The moisture from the air is collected through a series of filters and then condensed into the unit, which runs through a series of cartridge filters, a UV sterilizer, and then separated into two tanks, one stainless steel tank for hot water and one plastic tank for cold water. This unit will produce approximately 3-8 gallons of water per day, depending on the humidity in your area. Vancouver Island humidity runs around 33-55%. I just installed one in my own home, and in the middle of the winter with the woodstove going continuously, humidity is running at 44% and producing 5 gallons per day. There are two faucets on this unit, one for tea, coffee etc. And the water temperature is 204 degrees F. The other faucet is ice cold water. Both temperatures can be set by the homeowner. This is the perfect unit for people that have a cottage, an office, a boat or even an RV. It's totally portable. 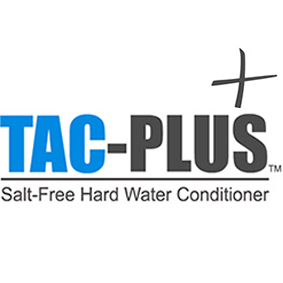 The TAC Plus is an extremely unique system that the water treatment industry has come up with. A lot of people do not like to use salt in their systems to backwash their softeners. Unfortunately, softeners require salt to backwash. The TAC Plus system requires no salt and is an extremely green system. To work properly, this system must have virtually no iron or manganese in the water. Otherwise, it will bind up the media in the bed. 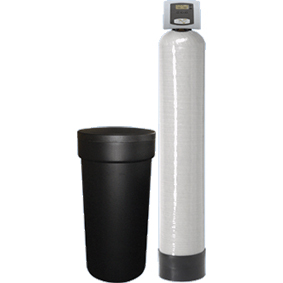 The system is designed strictly for hard water (calcium). The perfect match with this TAC system would be the Iron Plus system in front of it, which would remove your iron, manganese, and H2S (also a green system requiring no chemicals for backwash). The two systems work hand-in-hand and are a perfect match. We have installed a lot of these in greenhouses and other applications that do not want any sodium in their water that will affect the plant growth. The customers we have installed them for love them. This system is very unique because it not only removes the above but also disfinfects itself by converting the salt to chlorine and sanitizes the media bed. The salt is also used to backwash the softer media, that's used to remove the hard waters in your system. This system will take the place of four media tanks, resulting in huge cost savings. Backwash rates are lower because it is now only backwashing one media filter instead of four, and also this sanitizer will backwash every six or more days (up to 14 days),compared to a softener which backwashes every three days; you have a huge savings in salt and water consumption. We have installed quite a few of these systems and our customers have been absolutely thrilled by the quality and improvement of their water. Not only have they got just the one filter doing the job of three others, the cost savings is significant. 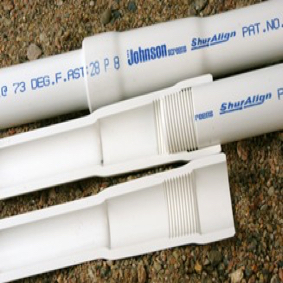 The Shur-Align drop pipe's patented design allows for quick and safe installation for any submersible pump. The patented Shur-Align joint is an innovative and simplistic PVC pipe assembly design; it features a simple alignment and engagement, a beveled shoulder, quick makeup, watertight seal. The entire joint, not just the coupling, is formed from schedule 120 PVC for maximum strength and durability, making installation of submersible pumps quicker and simpler.